Billings, Mont. – The District Court for the District of Montana has allowed the Montana Beef Council, Nebraska Beef Council, Pennsylvania Beef Council, Texas Beef Council, and three individuals to join in R-CALF USA’s beef checkoff lawsuit, a request made with R-CALF USA’s consent. The lawsuit was recently expanded to include 15 state beef councils, including those now joined as parties. R-CALF USA explained in its response to the intervention request that the intervening state councils’ statement to the court confirm the beef checkoff program is being administrated in an unconstitutional manner, violating producers’ First Amendment rights. However, R-CALF USA stated it agreed to them entering the case so the court can have a full record of how the checkoff money is spent by these private entities. 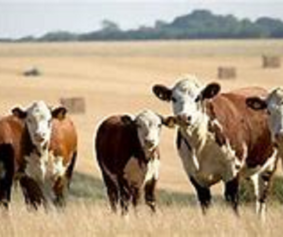 R-CALF USA also explained that for the beef checkoff program to be constitutional it must only produce government speech, which is speech controlled by the federal government, not subject to local or state control by nongovernmental entities. Therefore, R-CALF USA stated it would agree to the councils entering the case because their statements are proof that the councils are using producers’ checkoff tax dollars to fund private speech. As one example, R-CALF USA pointed out that the government did not agree to the councils’ request to join the case as parties. Yet, the councils have expended checkoff taxes to do just that. The case will now go forward with the councils as intervening-Defendants. “This will allow R-CALF USA to uncover how the councils decide to expend checkoff dollars, helping producers be better informed about how their money is used or misused by the state beef councils,” said R-CALF USA CEO Bill Bullard.